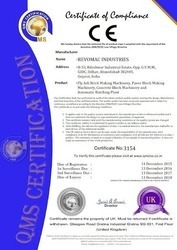 Established in the year 2014, Revomac Industries is the fastest growing Manufacturer and Service Provider firm engaged in providing the modernised range of Brick Making Machine, Block Making Machine, Vibrating Tables, Pan Mixer. With an ideal integration of software and hardware, we are able to develop an extensive range of best quality machinery which includes Brick Making Machine, Paver Mold and Batching Plant. Further, our offered line of products is manufactured on highest quality specifications of sturdy construction, robust performance, precision engineered fabrication, environmental sustainability, and cost efficiency. Besides, we are dedicated to providing satisfactory Brick Machine Maintenance Services that feature utmost professionalism, timely execution and competitive price bands. 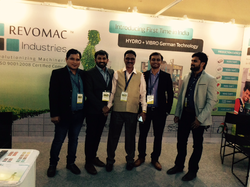 Our product line is highly acknowledged by leading builders, construction companies, and civil engineers across the country who are looking for simple yet reliable designs of modern day machines. Our company was founded with a mission to revolutionise the production processes. we, therefore, have implemented leading techniques at our well-integrated work set up. Besides, each business process is backed with the pivotal objective to augment the prolific development of the society, and we do this by conducting rigorous market analysis and by developing products that feature eco-sustainable properties and least environmental footprints. Mr. Jigar Patel is our Marketing Manager that guides us to explore new and improved ways to success. Under his leadership, we are leveraging our potentials to the fullest. Our line of products is simple yet reliable and when it comes to quality assurance the entire business processes are dedicated to meet the challenging client specifications. Besides, owing to the technological advancements we are able to design and develop innovative machinery with customization capabilities. And, in order to assure our clients with the adapted modernization, we make sure to conduct a rigorous inspection on the finished machinery. About our infrastructure, We having total 2 units in that one for fabrication unit and another one unit is for assembly. 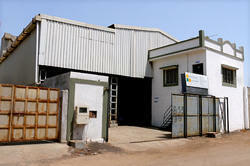 Our Company location is too near by railway station as well as airport. 8 Km from the railway station and 18 Km from international airport. its very convenient place to visit. Our vision is to develop cutting edge technologies and manufacturing machineries that play a pivotal role in the development of the society. We started this company with the aim of manufacturing machines that revolutionise the production process by making machines that are simple yet reliable, efficient but powerful and cost-efficient without compromising with quality. We are firm believers of the concept of sustainable development and focus on innovating technologies that have the least environmental impact. We strive to Care for and protect nature and this has been and will always be the cornerstone of our organisation. Our mission is to cater to the needs of our customers and ensure we possible services to our customers. Satisfaction is the prime concern of our organisation and we work hard to live up to the expectations of our customers and try to fulfil their needs. The Unique Selling Point of our products is their cost-effectiveness. We provide customers with the best technologies at the minimum costs without compromising with the quality and the reliability. Our relationship with our customers does not end once the machines are delivered but it truly begins after that. We provide very efficient and timely after-sales service, maintenance and repairs to our customers. The machines developed by us are very robust, efficient, precise and reliable in every sense. We develop machineries that have minimum emissions and release minimum waste products into the environment and are extremely safe for nature and surroundings.